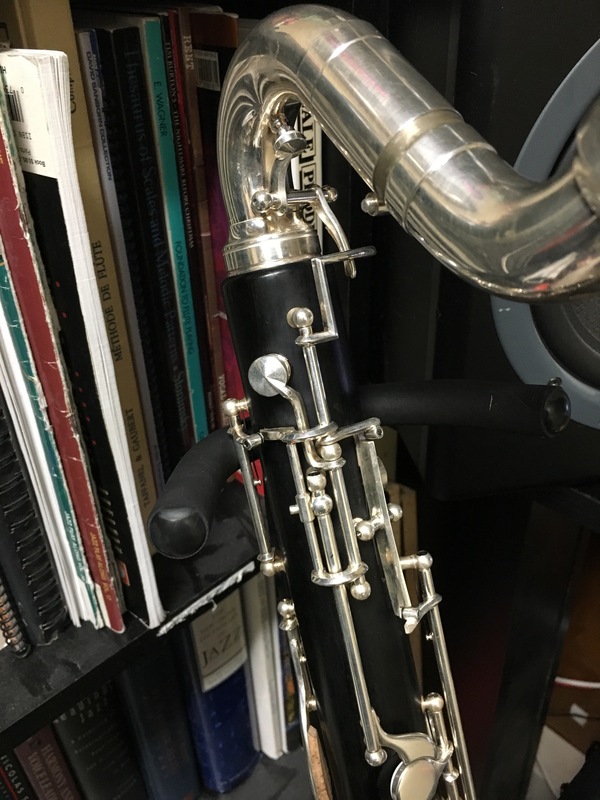 Getting an all wood, Low C bass clarinet has been on my list for a while. A long while. But when is a normal musician going to be able to afford the $8K or more that one is going to cost? Last month I scored a sweet answer to this question. It came from eBay. 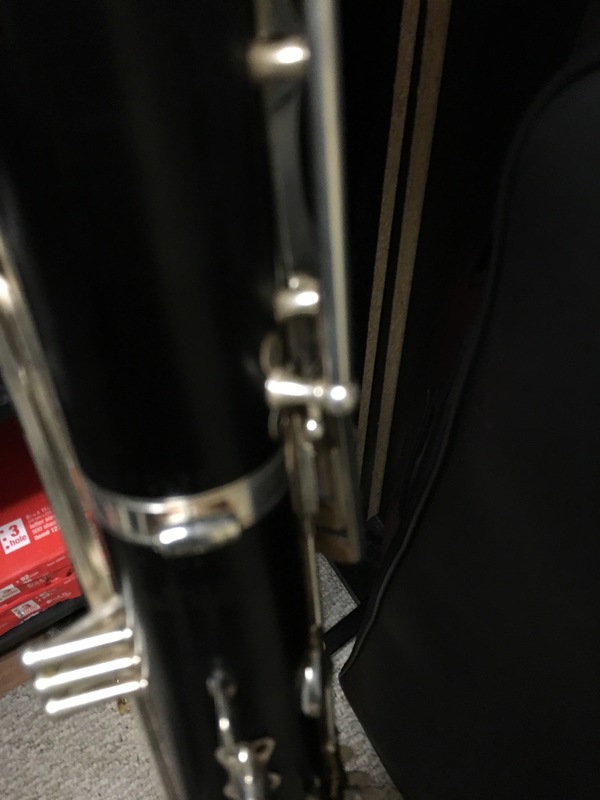 It is an Amati Bass Clarinet. Made in the Czech Republic, quite honestly I was taking a huge risk plunking out $2500 for this. 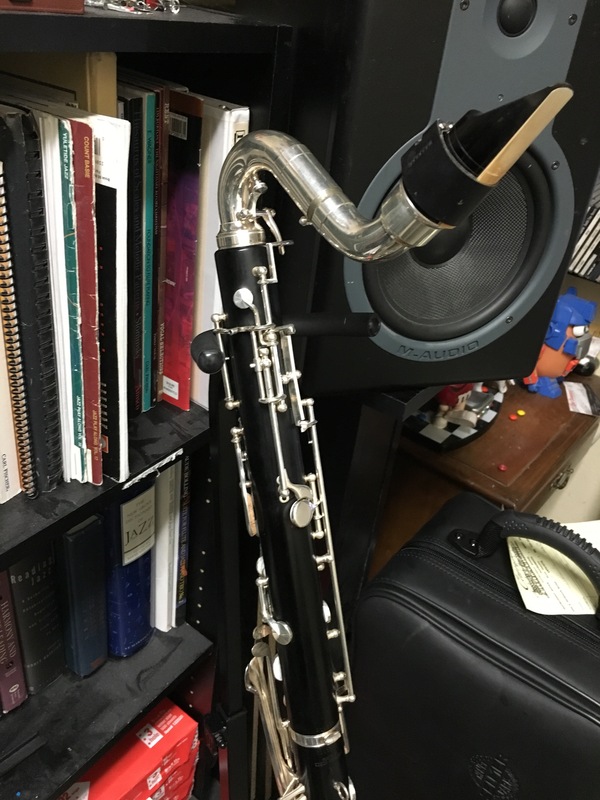 But since a cheap plastic clarinet was in that price range, I figured it should play as well as those right? Plus The Woodwind and the Brasswind sell it for over $6,000. Done. Bought. Shipped. 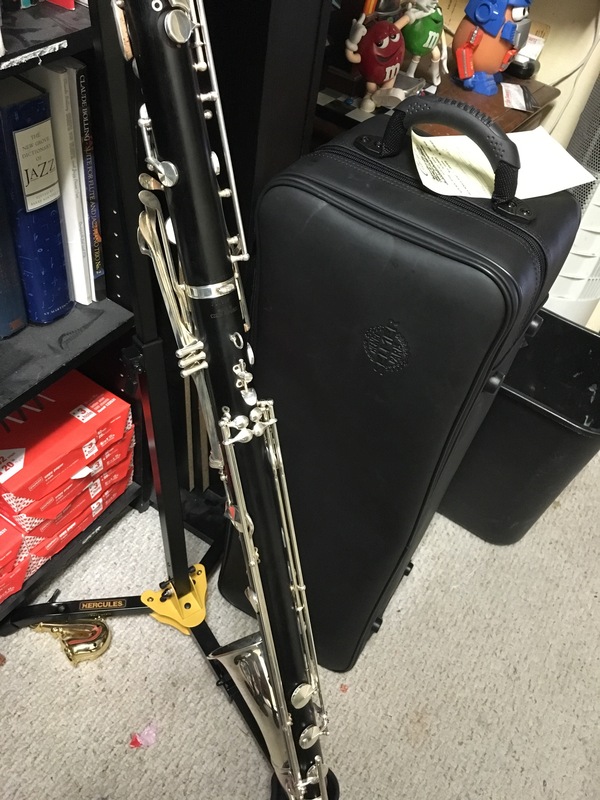 Came in a Selmer Bass Clarinet case. 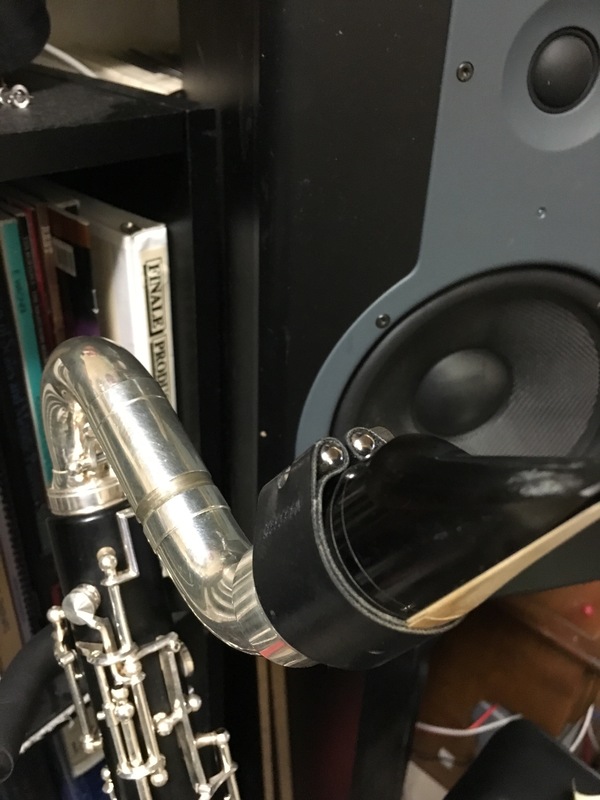 Put it together, slapped my Bass Clarinet mouthpiece on it (Vandoren B44 I think)…….and…….WOW. The thing played great. Really great. Much like a Buffet Bass I was able to borrow for a show last year. So…..if you are in the market for a bass, keep an eye out for one of these. They play great! Love the last stand. So cool.